The invention of mass printing practices changed our world and the print invention is regarded by many as the invention of the millennium. Before Gutenberg, books were either copied out by hand on scrolls and paper, and even a small book could take months to complete, or printed from hand-carved wooden blocks, each block printing a whole page, a part of a page or even individual letters. But the wood work was extremely time-consuming and the carved letters or blocks were very fragile and the susceptibility of wood to ink gave such blocks a limited lifespan. Moreover, the hand-carved letters were different. Gutenberg is generally credited with the invention of practical movable type. He made metal moulds, by the use of dies, into which he could pour hot liquid metal, in order to produce separate letters as the same shape as those written by hand. These letters were similar, more readable, and more durable than wooden blocks. Such letters could be arranged and rearranged many times as the printer wished to create different pages from the same letters. 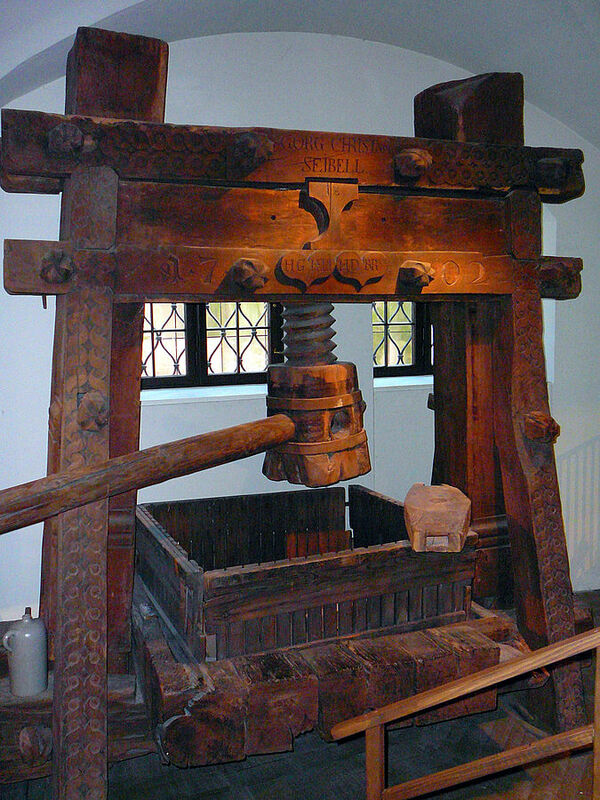 Gutenberg also introduced the use of printing press to press the type against paper. For this he used a hand press used in his times by wine industry. Ink was rolled over the raised surfaces of the hand-set letters held within a wooden frame, and the frame was then pressed against the paper. The press enabled sharp impressions on both sides of a sheet of paper and many repetitions. After a page was printed, the type could be reused for printing other pages. 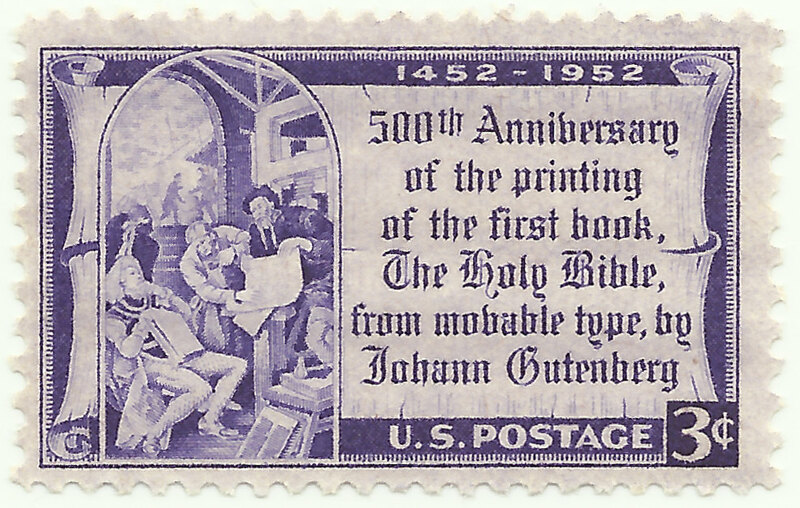 Gutenberg introduced his invention around 1450. Gutenberg’s name does not appear on any of his work, but he is generally accredited with the world’s first book printed by movable type. The 42 line Bible (the number of lines per page), also known as the Gutenberg Bible or the Mainz Bible (for the place where it was produced). It took Gutenberg at least two years to complete his first book. No one knows exactly how many copies of the Bible were printed, but the best guess is that around 180-145 on paper and a few more on the more luxurious and expensive vellum. A contemporary account by a visitor to Mainz indicates that the book was nearly ready in October 1454 and available for sale by March 1455. 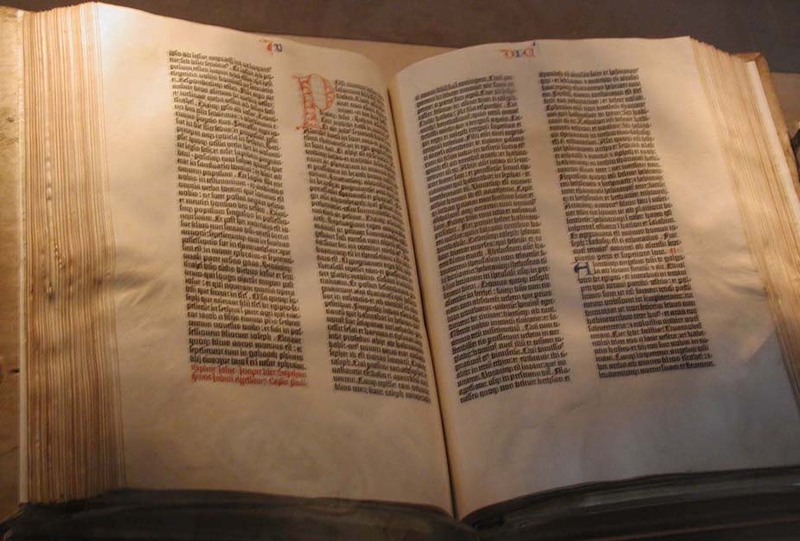 Gutenberg's Bible edition is the Vulgate - the Latin version of the Bible prepared mainly by Saint Jerome at the end of the 4th century A.D. and used as the official version of the Roman catholic Church. Some experts cast doubt at the general accepted notion that Gutenberg is the inventor of the movable type. According to BBC’s site, Renaissance Secrets: What Did Gutenberg Invent? a system of printing from movable metal type was developed in Korea using Chinese characters an entire generation before Gutenberg is thought to have invented it. However, there’s no evidence that this was brought to Western Europe. Invention requires putting together disparate elements in a novel way, making a cohesive, coherent process that can then be carried on by many different people. It was Gutenberg’s combination of the printing press, type, paper and ink that made the invention a success. To sum up: It is safe to assume that Gutenberg is the one who perfected the printing invention to such a degree that it evolved from a non practical process to an extremely practical one. The best evidence for this is the fact that over the next 500 hundred years, from Gutenberg times, many improvement were made in the mechanics of printing but the fundamental process remained essentially the same. Who Invented the Movable Type? Building, today, a movable type printing press is not complicated, though some mechanics skills are required. Letter types which you can carve from wood (we don't suggest students to cast letters from metal since this activity can be quite dangerous, though possible). Another option: Letters from different materials could be obtained in the market. A wooden frame, suitable for a book page. You'll have to design it in a way to accommodate rows of letters for page lines. Don't forget that when turned upside down the letters should not fall down. An old press which you can borrow from a winery, bookbinder, or an old drill press from a mechanic shop, etc. A more exciting option is to build a press of your own (see the following links). It will be really exciting if you could print the first page of the Bible and send it as a gift to friends and relatives. Warning: As a rule: this experiment should be performed under the supervision of teachers or adults familiar with safety procedures since presses and carving tools can be quite dangerous.